We customized this Magento Commerce webshop to fit both - clients' and customers' needs! Results speak for themselves. A1Supplements is the largest US based private wholesaler of supplements online. They have been in business for 18 years and have grown to accommodate the world market as the wholesale leader in sports nutrition and nutritional supplements. Newest and hottest products, competitive prices, and in the end, happy customers, helped them clear their way to the top. The online store was initially built on X-Cart and was in use for a couple of years. Even though the website was running well, it didn’t fit the client’s needs. The client was in search of a newer, modern, updatable and more secure platform that will also be mobile friendly to focus on that rising group of shoppers as well. To provide even better shopping experience the goal was to carry the current functionalities over to a new website, with focus on design improvements together with responsive design, better promo functionalities and lots of other features to have customers browse and shop even easier. A switch was also required from simple and configurable products to Ajax-based grouped products – to have a clear view of all the flavors of products and to make it easy for customers to buy multiple flavors at once. To fully utilize security, speed and performance, the client went directly for Magento Commerce that adds even more layers of speed and performance improvements than the Magento Open Source. Redis server was installed and set up as well to move the load off the primary server for cache files. Some of the custom features include extensive customization of displaying best selling products across the site – they are integrated into the homepage with each category boasting its own set of bestsellers, and bestsellers have also been added as a product sorting option on category pages. As the most of the client’s business is run on volume pricing discounts, Magento’s cart functionality had to be modified in order to allow auto-adding of free promo products with the ability to change their flavor directly in cart. In this case, we’ll let the numbers speak for themselves. We came to Inchoo with a project to salvage, and they helped us tackle that and more! They are fantastic to work with and are always there when something comes up that needs to be addressed, big or small. They are able to evaluate projects to find the best path forward for the needs of A1Supplements and our customers! 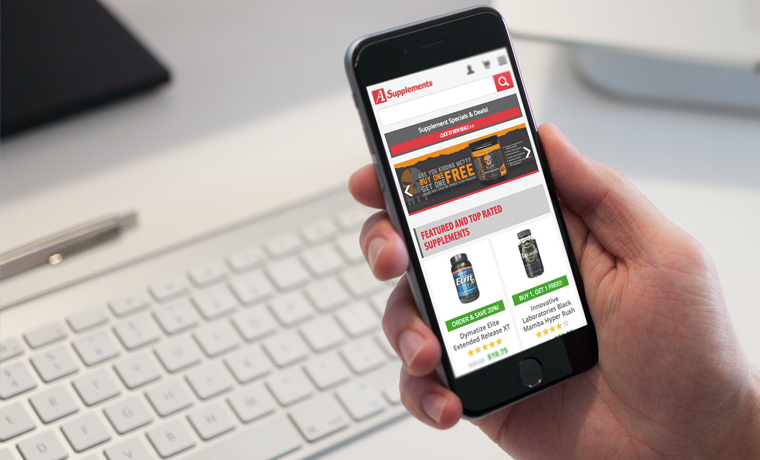 We look forward to continuing our development relationship to keep our A1Supplements website ahead of the game!